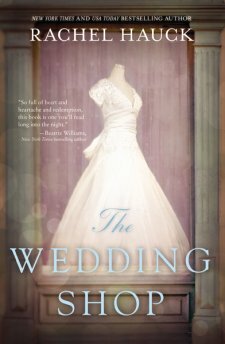 From The New York Times bestselling author of The Wedding Dress comes The Wedding Shop. Oh my Soul!! This book was such a hit with me! Haley, successful, done-it-all-and-more type woman, finally returns to her hometown of Hearts Bend. Life has dealt her some serious blows and she is not sure where to go from here. Her mother, an over achiever demands "new years goals" from all family members annually, a childhood tradition. But this new year, Haley has no idea where her life is headed. As a kid, Haley and best friend Tammy, played in the old abandoned wedding shop in town. Together they vowed to one day restore the shop and run it. As memories come to life, so does Haley. Her goal - restore the wedding shop! But it's not going to be easy. Many obstacles stand in the way. With the cards stacked against her will she be able to fulfill her childhood dream and also find restoration for her soul? This story gripped me from the beginning. Maybe because I'm a seamstress and have dreamt of owning a shop? Maybe because I have struggled with heartache and the heartache in this book is raw and real? Maybe the message was one I needed to hear? This is a beautiful emotional story of love, forgiveness, endurance, faithfulness and grace, that will hold you captive til the very end and likely even surprise you. Rachel draws you in as she alternates the tale between modern day Haley and past wedding shop owner Cora. I tried to stick to the back and forth theme, but occasionally, I just had to read ahead a few chapters, then backtrack and read the other woman's story. The romance, faith, and love in this book is astounding and the message is clear and incredible. If there were more than five stars to give, this book would get them from me! I read the first book in this series, The Wedding Dress, several years ago. Although the stories tie together some, one can be read without the other, but it is pretty awesome if you have read the first one already. There is one more book in connection with the series, The Wedding Chapel, which I have not read, but aim to read soon. This book was provided for me courtesy of the booklook blogging group in exchange for my honest review. I was not required to review this book positively. Available on Amazon and other online or local retailers. It's the early 1930s, but Cora Scott is walking in stride as a career woman ​after having inherited her great aunt's wedding shop in Heart’s Bend, Tennessee, where brides come from as far away as Birmingham to experience her famed bridal treatment. Meanwhile, Cora is counting down the days until her own true love returns from the river to make her his bride. But days turn into months and months to years. All the while, Birch Good continues to woo Cora and try to show her that while he is solid and dependable, he can sweep her off her feet. ​More than eighty years later, former ​Air Force Captain Haley Morgan has returned home to Heart's Bend after finishing her commitment to military service. After the devastating death of her best friend, Tammy, and discovering the truth about the man she loved, Haley is searching for her place in life. As Cora’s and ​Haley's stories intertwine through time in the shadow of the beloved wedding shop, they both discover the power of their own dreams and the magic of everyday love. 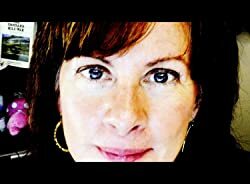 A graduate of Ohio State University with a degree in Journalism, Rachel and her husband live in central Florida. She is a huge Buckeyes football fan. I am sooooo jealous that you got to read this before me! I can't wait to be able to read it! I love Rachel Huack. Great review!